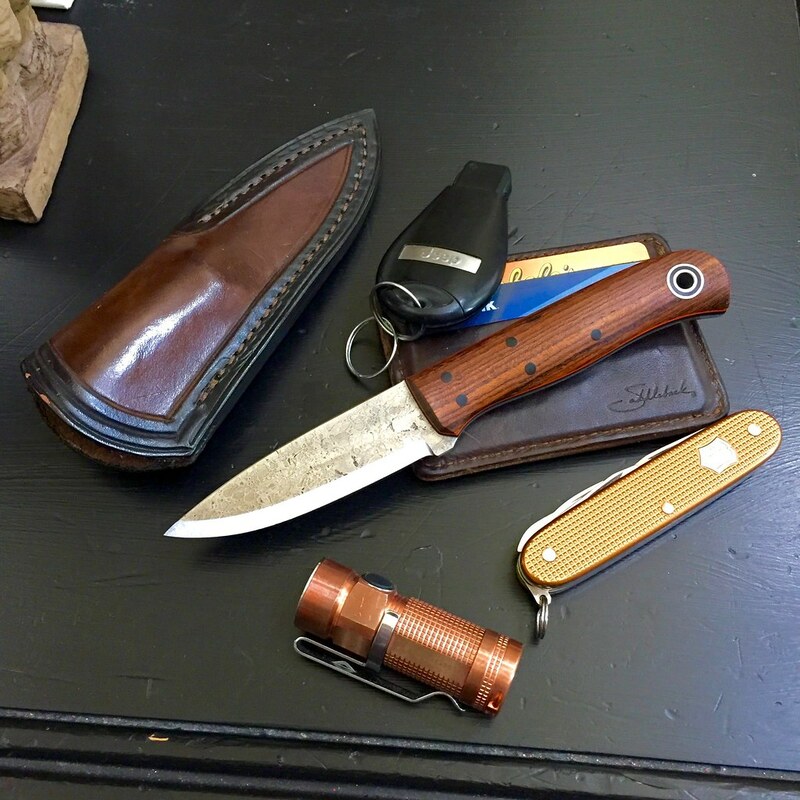 Discussion in 'Fiddleback Forge Knives' started by VANCE, Jul 1, 2016. Here is mine from today. Beautiful EDK Phillip. Don't see many of them make it to dealers....cant think why..! Rockin my usual. 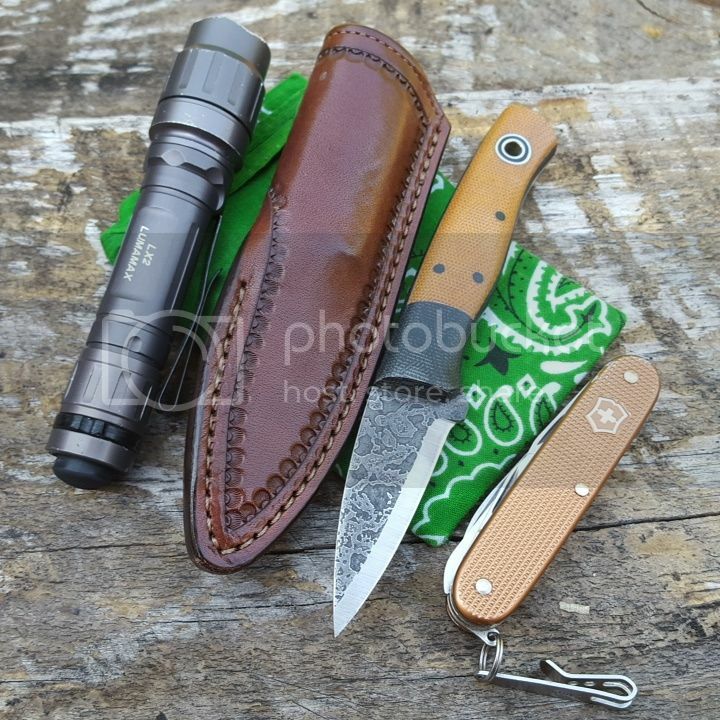 Hiking Buddy, RLO, OLight, SAK, Saddleback, Jeep. is that a copper Farmer also? It is, although the copper SAK doesn't really look very coppery. I don't have any of my stuff with me on this vacation except a flashlight. Olight S30R. Here's what I've been carrying lately though! 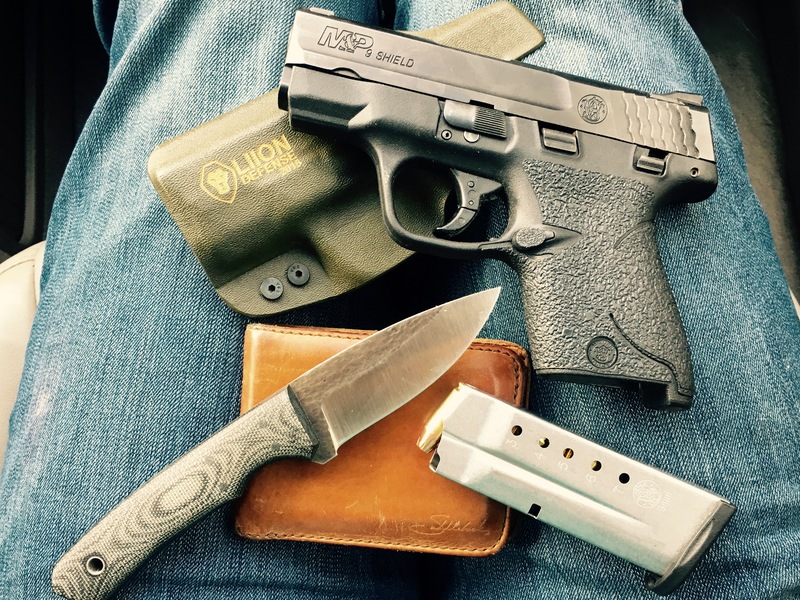 Warthog, Saddleback, Shield 9mm, Liion Defense APX holster. Sometimes I trim down the wallet and switch to a Big Skinny card wallet. 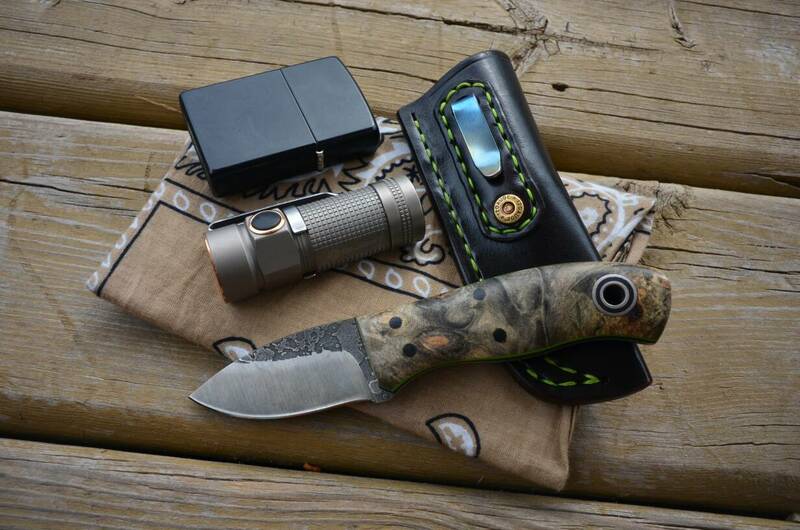 I need a SAK and another flashlight. what are you fellas doing with those tiny flashlights? The S10 is a great little light! I like the S30 because I get 1000 lumens with it! But some times I wouldn't mind a skinny little AAA flashlight. Those little OLights pack a punch. The S10, pretty sure that's what they both have, are 400ish lumens. The S30, what I have but not pictured, is 1000. I love the recharagable Olights.